Join us for a trip to Oman with Gary Payne and Mary Rosenberg. These local educators have visited Oman recently and experienced the social transformation that is going on in this small progressive nation bordering Yemen and Saudi Arabia. History and current events seen through photographic eyes as well as interaction with the peoples of a rarely visited nation in the Arab world. 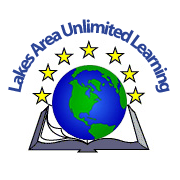 Lakes Area Unlimited Learning,Heartwood Senior Living, Tuesday February 12th. non members $5.00, Heartwood residents and students free.